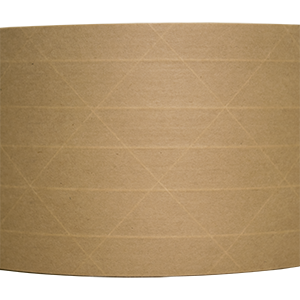 3-way fiberglass reinforced natural Kraft carton sealing tape manufactured with water activated adhesive. 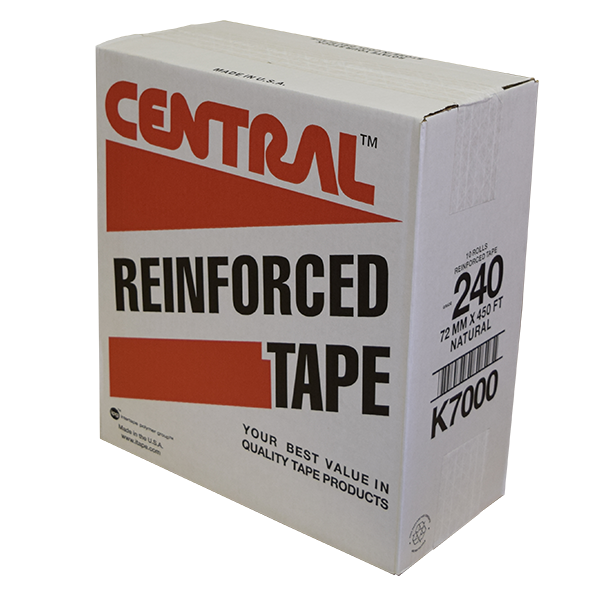 Each carton contains 10 rolls of 72 mm wide tape, 450' per roll. Note: In some parts of the country the humidity can affect the quality of the tape, especially during a rain storm in Georgia. To protect the tape before using it we recommend keeping the tape either in an air conditioned environment or putting new rolls of unused tape in poly bags. If you need bags, click to add above. Used for two strip sealing cartons top and bottom using a table top gummed tape machine. Works well on recycled cartons, and non-unitized loads. Recommended for use on light weight to average cartons up to 30 pounds (14 kg). Sealing with a three strip H seal produces a stronger closure and holds more weight. Tape is not included in the free shipping.